The Gifted’s First Season Finale Rips Worlds Apart! The Gifted – Lorna Dane (Emma Dumont), Esme (Skyler Samuels) – Photo by Eliza Morse/Courtesy of FOX. The two-hour season finale of The Gifted (FOX, Mondays, 8/7C) is nothing if not a big finish. Before it’s through, lives are changed; people die, and worlds are ripped apart. SDCC 2017: FOX Unveils Extended Trailer for The Gifted! FOX presented a new extended trailer for The Gifted today at Comic-Con 2017 – featuring a considerable amount of mutant powers in action. The Gifted premieres on October 2nd. Dad Puts People Like Us In Jail Trailer: The Gifted! The first full-length trailer for FOX’s Marvel series The Gifted has been released and it gives us a look at why the Stewart family has gone on the run – an unfortunate response to bullying has provoked an uncontrolled reaction from son Andy. I Can Teach You This Trailer: Marvel’s The Gifted! Matt Nix’s Not-the-X-Men series, Marvel’s The Gifted, has officially announced as being part of FOX’s 2017-18 fall schedule. The story follows a married couple who learn their kids have mutant powers – and have to go on the run from a hostile government. FOX will drop a full-length trailer on Monday, May 15th, but gave us a taste in a teaser that just went live online. FOX Orders Marvel Mutant Action-Adventure Pilot! FOX has ordered a new Marvel action-adventure series. The as yet untitled pilot has been given a put pilot commitment (put pilot commitment definition – the network has agreed to air either as a special or series. If the network does not air the pilot episode, the network will owe substantial monetary penalties to the studio. Generally, this guarantees that the pilot will be picked up by the network). The series revolves around two ordinary parents whose children have mutant abilities and are forced to go on the run from a hostile government. The pilot is executive produced by Lauren Shuler Donner, Bryan Singer and Simon Kinberg of X_Men movie fame; Matt Nix (creator/executive producer of Burn Notice) and Marvel’s Jeph Loeb and Jim Chory. Nix will write the script. For more, follow the jump. 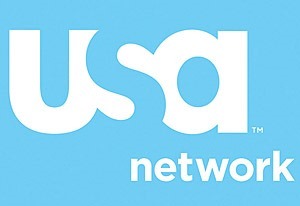 USA Network announces Drama Development Slate Powered by Quality Creators! USA Network has announced a drama development slate of nine titles, powered by some seriously talented creators. From Horizon – a period genre piece from Executive Producer Gale Anne Hurd, to The Arrangement – an expansion of an Elmore Leonard story from Numb3rs creators Cheryl Heuton, and one of two titles – the other being Bank – executive produced by Doug Limon and David Bartis (Covert Affairs), to Complications – a quasi medical drama from Burn Notice’s Matt Nix – the network is investing in proven creators with interesting ideas. Check out the complete list of nine shows in development by following the jump. 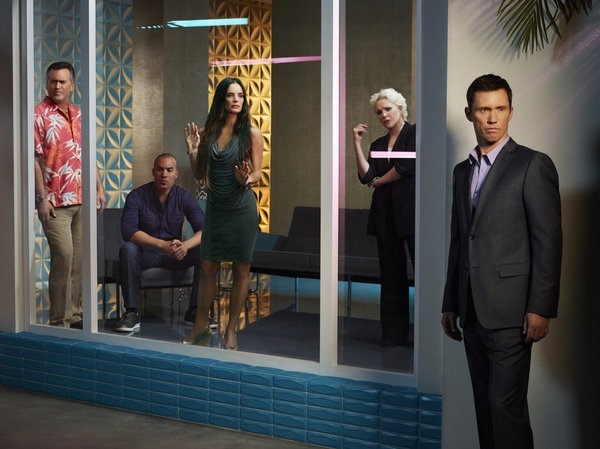 USA Network’s Burn Notice–Seven & Out! 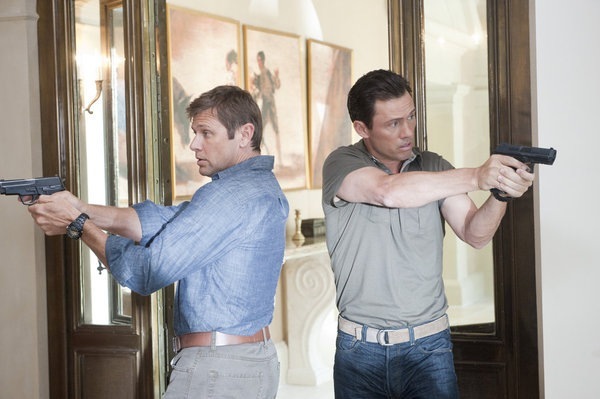 USA Network’s Burn Notice has reached the end of its critically acclaimed run. Its upcoming seventh season will be its last. It will become only the third USA Network series to pass one hundred episodes. Burn Notice returns on Thursday, June 6th at 9/8C. For further details, follow the jump. Burn Notice: They Killed (Spoiler)! 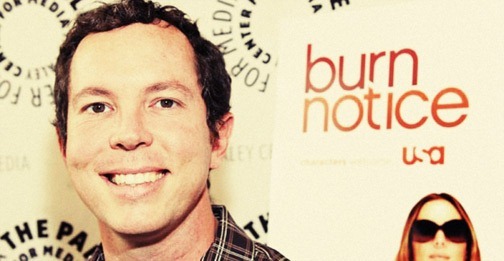 Series Creator Matt Nix Talks It Out! On last Thursday’s episode of Burn Notice (USA Network, 10/9C), an event transpired that changes everything for Michael Weston and his family and friends. On Friday, series creator Matt Nix talked with a group of bloggers/journalists about the hows and whys of the event and spoke a bit about the rest of the season. If you haven’t watched last week’s episode of Burn Notice please do so before clicking through the jump. Burn Notice: Damned If You Do Finds Michael Between A Rock, A Hard Place and Another Rock! Burn Notice [USA Network, Thursday, 10/9C] creator Matt Nix cranks things up for the series’ mid-season premiere with Michael’s CIA security clearance, a powerful – and selective – computer virus and a kidnapping. And that’s just for starters! Fans who can’t get enough of their favorite spy and the accompanying colorful cast of characters, now have another diversion to devote time to. USA Network, in partnership with DC Comics, announced its first series of interactive multiplatform comics with a series created to bridge the storylines between seasons four and five of BURN NOTICE. The comic, entitled “A New Day” and written by the creative team behind the show, including series creator Matt Nix, goes beyond the two-dimensional traditional comic by offering enhanced user experiences including interactive games, hidden ciphers, artwork peelaways and more. Chapter one went live in tandem with the fifth season premiere of BURN NOTICE last Thursday, June 23. Having garnered over 100,000 page views since it launched, “A New Day” is available on www.usanetwork.com, Facebook and as a freestanding iOS and Android App on select devices. The only caveat is that your browser must be updated to the absolute latest in order to view it. The nine pages of storyboard of each chapter read very quickly providing straight-forward info, but the interactive bits provide for some interesting and fun diversions. Burn Notice: Back to Normal – Whatever the Hell That Is! Burn Notice [USA, Thursdays, 9/8C] returns for its fifth season with a big change – Michael Westen is no longer a burnt agent. He is, once again, working for The Company – albeit as an asset rather than an agent – and looking to capture the last remaining person behind his frame-up.